With the year 2017 AdaChess signs his fourth attendance at the g-sei live tournament. Organized as always by the super cool Italian group, the tournament is full of participants, from many country in Europe, confirming that is an event that is worth to take part. 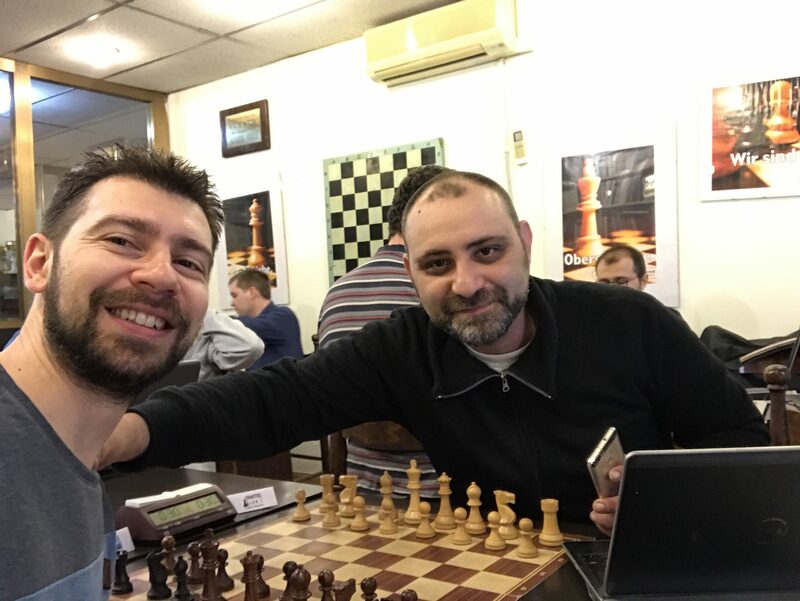 The location was the same as the previous year, the Accademia Scacchistica Romana (Rome Chess Academy) in the hearth of the capital of Italy. This year we were 14 engines with two of them managed by operators, aided by the fact that the rules allowed the engine to play in remote: no hardware limits at all! – really cool if your engine can do it! First of all I want to congratulate myself with Andrea and his engine Chiron. He was the winner and the last match was very hard for him in a blitz play off against Jonny, the excellent engine by Johannes Zwangzer, who ranks 2th due to the defeat by Chiron. Both of the engines played really brilliant. The most interesting news of this tournament was, in my head, the use of PICcolino from Luca Naddei (known for his engine Uragano). PICcolino is a full hardware able to play chess thanks to an engine specifically written for that hardware, able to work in hard “phisical” conditions. Also, very sadly this year we haven’t as guest our friend Alex Morozov with Booot, due to a personal reasons he couldn’t be with us. All the details of this tournament, as well as the game played, can be downloaded from the g-sei site and details of the tournament are given to us in the nice post written by the g-sei site administrato, titled “Miti e leggende” (in italian language). Here I’m going to update you about the current status of AdaChess. The release I’ve used is a bit more recent compared to the downloadable one. However, that release is still in testing and I still have to fix some bug before releasing it definitly. The most important update is on the positional evaluation system: while in the downloadable version there is a clear distinction between opening game, middle game and end game, in the current working release I use the tapered evaluation, that means that there is a smooth transition between opening and end game. During the train travel in direction of Rome I discovered a serious bug involving futility pruning and I was not able to fix it and test the engine in time for the tournament. Therefore, I played with the futility pruning deactivated. AdaChess did his best, as always, with a stable game play and without incredible and cool queen sacrifices or knight underpromotion – that both me and the engine like a lot. Sometimes AdaChess make this cool moves! As always, the tournament is a good chance to talk about girls chess, chess programming and cool tips on how to develop properly your engine. Stay tuned! ← Is Ada a good choice to develop a chess engine?